Nestled in the beautiful countryside of Tuscany and exuding a distinct historic charm, the city of Lucca is a perfect destination for couples to exchange wedding vows. Surrounded by an ancient wall dating back many centuries, Lucca is a city with a small-town feel, the romantic ambience of which makes it a favourite for those looking to get married in Italy. The city of Lucca has a rich historic legacy, much of which can still be witnessed today. Indeed, back in the thirteenth and fourteenth centuries, Lucca was regarded as one of the most influential cities in Europe. The surviving Romanesque churches and grand squares bear testimony to the city’s noble past. Arguably the most famous of Lucca’s historic squares is the magnificent Piazza dell’ Anfiteatro. The site of a former Roman amphitheatre, Piazza dell’ Anfiteatro is now an urban square, surrounded by historic residences and quaint pavement cafes. 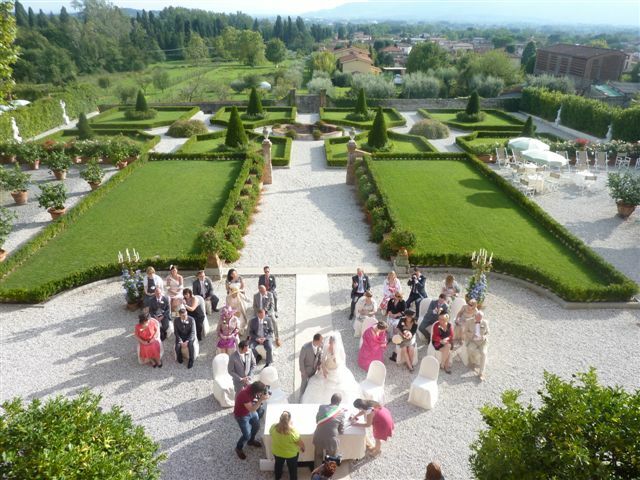 In addition to the wonderful countryside and the beautiful gardens which now adorn the top of the city’s ancient surrounding wall, the biggest draw for couples looking to get married in Lucca is the plethora of historic villas located throughout the surrounding area. 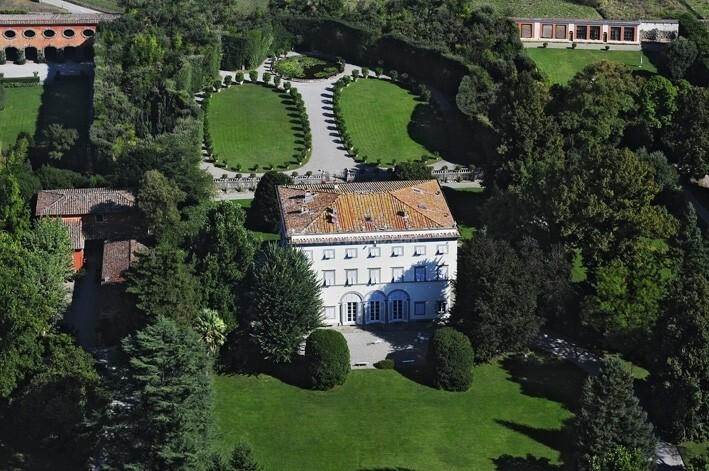 In fact, Lucca and the surrounding countryside is home to more than 300 villas, each one complete with a romantic ambience of its own. Situated within the city itself and throughout the surrounding area, the majority of these villas were once the homes of Lucca nobility. Now fully restored, these magnificent buildings make for memorable wedding venues which everyone in attendance will surely never forget. 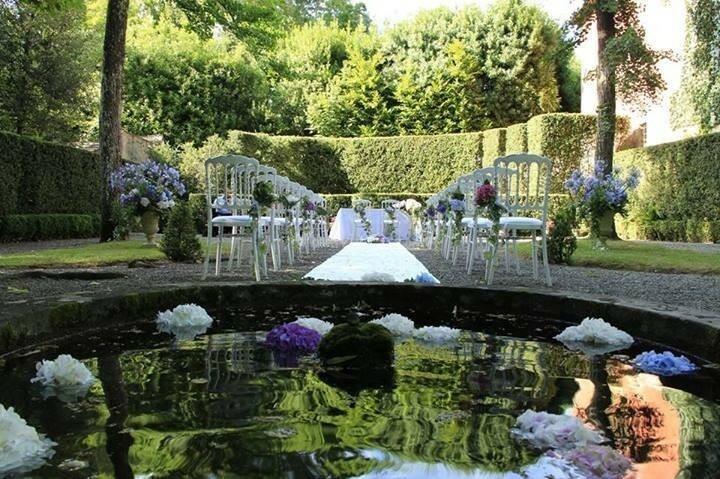 A prime example of a Lucca wedding villa is the Villa Mansi in Segromigno a Monte. Originally built in the sixteenth century, this wonderful country castle was once the home of the wealthy Mansi family, who made their fortune in silk. Lovingly renovated in recent years, the sheer elegance of the interior is more than matched by the exquisitely kept gardens and stunning exterior fountains. With such beauty available both inside and outside, couples can choose between an interior or exterior wedding ceremony.